Other companies signing onto the petition include phone maker Ericsson, Nokia, Qualcomm, and Cisco. 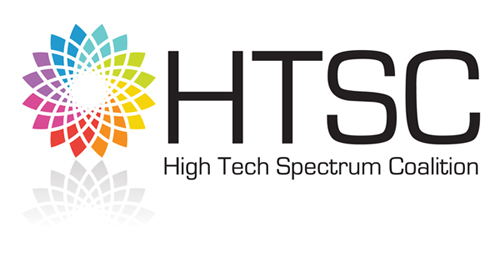 Samsung has recently joined this group, calling itself the High Tech Spectrum Coalition (HTSC). It also includes other high-tech trade associations like the Information Technology Industry Council (ITI), the Telecommunications Industry Association (TIA), and the Semiconductor Industry Association (SIA). The HTSC feels that spectrum is like fuel for the current wireless broadband marketplace, and that the current spectrum crunch is real and significant. Consumers continue to purchase and buy Android and iOS devices at unprecedented rates, fueling a substantial growth and need for wireless broadband spectrum. The petition points out that the continued adoption of devices using 4G and LTE data will increase consumer demand for more as they begin to see the benefits of rich media applications like video on-the-go. The coalition says that the FCC estimates that the US will need an extra 275 MHz of spectrum within the next five years to meet this demand. Cisco chimed in to report that tablets can generate up to 80 times more data traffic than basic feature phones, and smartphones can generate up to 22 times more data demand than a basic handset. Laptops? They generate 208 times more data traffic than a basic phone handset. Let’s hope Congress can do the math and start doing some future planning. The high-powered group of high-tech companies can only help matters with their enlightened self interest, because of course more spectrum means more devices needed to fill that spectrum. It’s win/win. The time to identify and auction spectrum to meet our nation’s future wireless broadband needs is now. Currently, there is insufficient spectrum in the pipeline for auction to meet commercial wireless broadband demand. Once spectrum is identified it will take several years to prepare for and conduct an auction, which must occur before a carrier can build out its network to add capacity. We urge Congress to act quickly to ensure our nation’s mobile future.